First line: "I remember being born." Thoughts: Of all the genres out there, fantasy is probably my favorite. Being so, it comes as no surprise that I am beyond picky when it comes to fantasy novels, especially high fantasy. With that being said, I cannot tell you guys how much I absolutely adored SERAPHINA. Dragons, murder, secrets, forbidden love...I could really go on and on about all the things this book has to offer. First, let's talk about the world building. It was spot on. Keep in mind, this book is more of a marathon and less of a sprint. If you're looking for a quick read, this isn't it. If you're looking to go on an adventure, a journey, than this is the book for you. I loved imagining dragons standing three stories high next to us pesky humans. Oh, and the music. I could probably hear the best music of my life, and it still wouldn't compare to Seraphina's talent. I'm not sure how the author did it, but I could hear the music coming out of the pages. What I wouldn't give to just hear her play one song. Speaking of Seraphina (aka Phina), I cannot tell you guys how I reveled in her growth. In the beginning of the novel, she was a scared girl who just wanted to fade into the background. This is, of course, due to what she is. It also probably doesn't help that her father conditioned her to be this way. As the novel progresses, you see her become more of a woman and less of a girl. She's finding herself, and I'm assuming she'll continue to do so in the sequel. Another character I couldn't get enough of was Orma. He's a saarantra (dragon) that mainly stays in his human form and mentors Seraphina. Like most saar, he thinks more with his head and less with his heart. Unlike most saar, he seems to care for Seraphina in his own special way. The ironic thing is, even though he's a dragon, he shows more affection for her than her father ever has. I enjoyed his quips and overall presence. He's definitely an intriguing character and one I think everyone will cherish. Now, let's talk about romance for a bit, shall we? There's definitely some romance in this novel, but it's neither overpowering nor lacking. The porridge isn't too hot, too cold, but just right. There's definitely a lot of sexual tension between Phina and Prince Lucian Kiggs (Kiggs for short). Sadly, Kiggs is engaged to Princess Glisselda. It would be easy to outright hate her, mainly because you want to root for Seraphina, but it's not. Glisselda is a sweet character, one both Kiggs and Phina admire. I will admit, I originally found the concept of Kiggs and Selda being engaged kind of disturbing. They're cousins, but you have to keep in mind that almost all royal families, much like in world history, are married off to other royals aka relatives. With that said, I'll still continue to cheer for Phina and Kiggs because darn it, Seraphina deserves to be happy! Like the majority of fantasy stories out there, this book includes a list of confusing names, places, beliefs, and words with many vowels. I probably spent more time attempting to say some of these phrases and name and still pronounced them incorrectly. If you're ever confused as to who's who, there's a glossary in the back of the novel. I don't know about you guys, but I love a good cheat sheet! Overall, I cannot recommend this extraordinary novel enough. 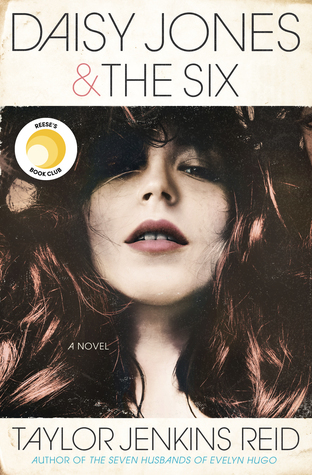 If you're a fan of GRACELING, FINNIKIN OF THE ROCK, and/or SHADOW AND BONE, you'll absolutely love this novel. Even if you're not or haven't read them, I highly recommend picking up SERAPHINA. All you have to do is read the prologue, and you'll fall for it the way I did. "Sometimes the truth has difficulty breaching the city walls of our beliefs. A lie, dressed in the correct livery, passes through more easily." "I became the very air; I was full of stars. I was the soaring spaces between the spires of the cathedral, the solemn breath of chimneys, a whispered prayer upon the winter wind. I was silence,and I was music, one clear transcendent chord rising toward Heaven. I believed, then, that I would have risen bodily into the sky but for the anchor of his hand in my hair and his round soft perfect mouth." Giveaway: Thanks to the fabulous people at Penguin Random House and to celebrate the paperback release of SERAPHINA, I am giving away a copy to one lucky reader. As you can see, this is one of my absolutely favorite novels, and here's your chance to win it. To enter, fill out the Rafflecopter form below. This giveaway is open to US/CA participants and ends on March 28th. Always looking for my next great fantasy read. Serphina has been on my radar for far too long. Glad book two is out so i can binge read. Yessss to the Seraphina love! I think it's an incredibly unique dragon-based fantasy novel. Rachel created such great characters, and wove together a complicated story with many plot threads - but it totally works. 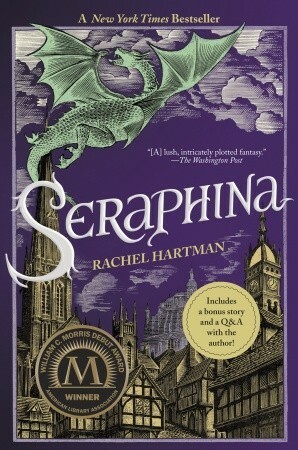 I want to read Seraphina for the dragons! excited to read SERAPHINA.because of the Dragons! TFS. One word: Dragons! Also, the reviews have been stellar. I am super excited to read this book after reading the first one! The first one was so intellectual and filled with words that I had to look up. I cannot wait to read the second one. Rachel Hartman seems so nice in interviews, plus I love books about dragons. Rafflecopter name = Megan S.
Seraphina is one of my all-time favorite books, and I'd love to own a copy. I can't wait to read Shadow Scale next!